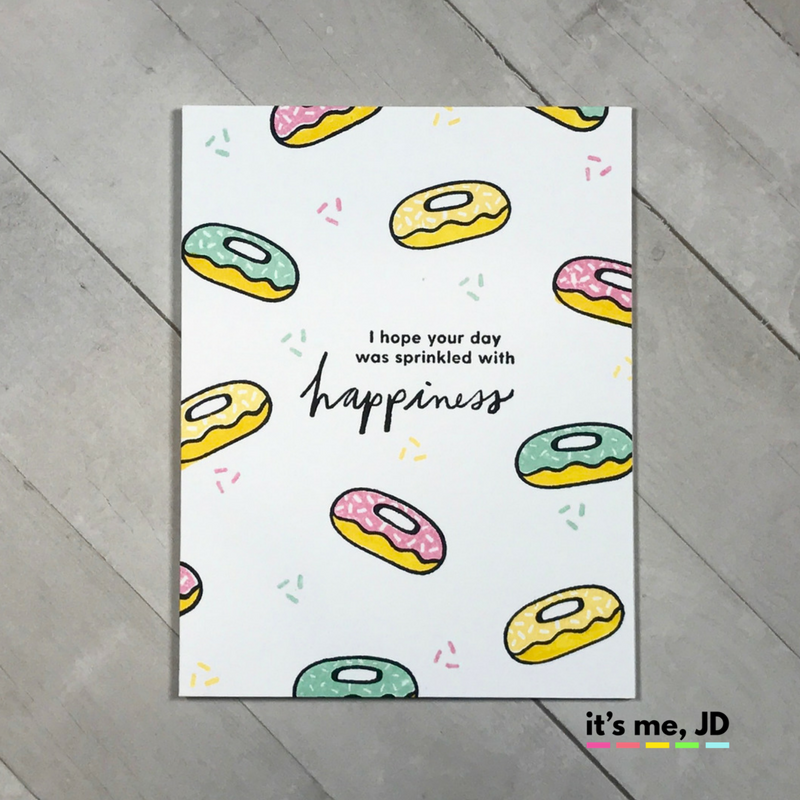 I created my own background with this fun donut stamp set. Having some belated birthday cards on hand is great for when time just slips your mind, and you forget to send out a card on time. 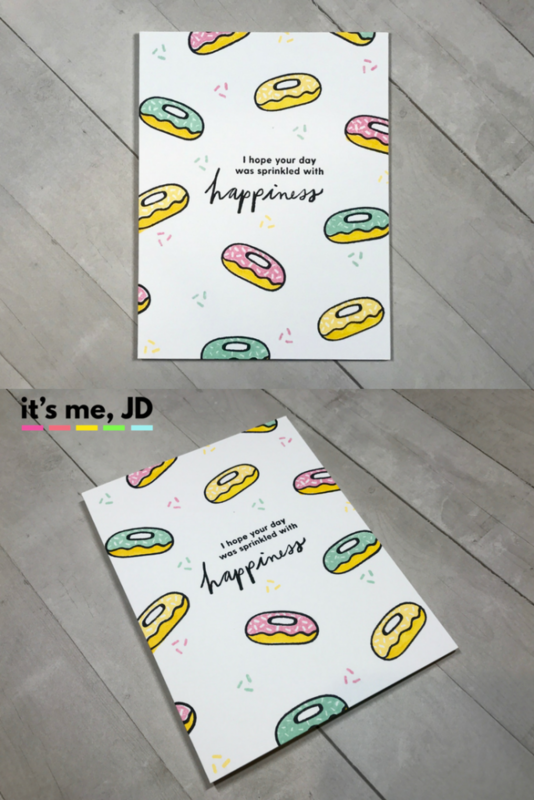 I stamped the outline of the donuts in black ink, then colored each donut with copic markers. 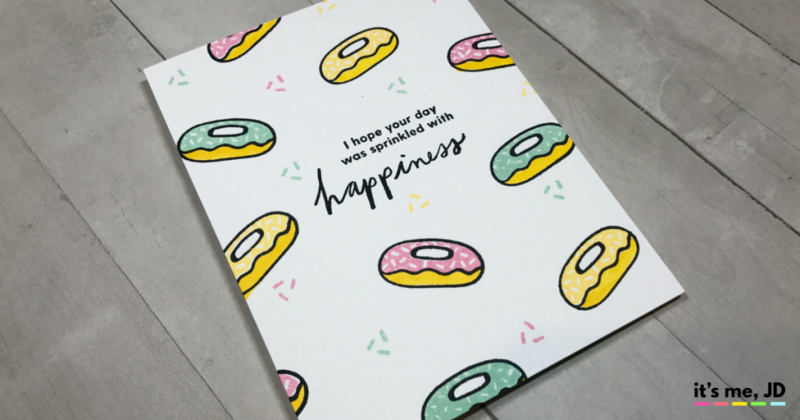 Then I added some colored sprinkles for a clean and simple one layer card.